Clinical Hull City claimed a valuable three points after firing four goals past relegation-threatened Cardiff City. 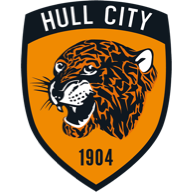 Tom Huddlestone drilled the Tigers into the lead with a deflected 25-yard strike, after forward Nikica Jelavic had missed a glorious opportunity mere seconds before. Jelavic then scored Hull's second of the game after some superb link-up play with strike-partner Shane Long. The former West Brom man teed up the Croatian on the edge of the box, who fired in with supreme confidence. Jelavic added his second of the game with a deft header, while Jake Livermore scored the Tigers' fourth of the afternoon with a neatly-placed finish after the hour mark. The half-time whistle was greeted by a chorus of boos and Cardiff failed to improve after the break, despite having twice as many attempts on goal as the visitors. The game started positively for Cardiff. Winger Wilfried Zaha had the first attempt on goal when his tame side-footer was easily saved by Allan McGregor. And it was Zaha who then twisted and turned past Curtis Davies, loanee Livermore and Alex Bruce before his venomous shot was palmed away. The early onslaught continued when Kenwyne Jones showed his strength to bump off defender Maynor Figueroa and force a third early save from the busy McGregor. Norwegian Magnus Wolff Eikrem gave the ball away to Jelavic, who played a one-two with strike partner Long, before selling a sweet dummy and forcing Marshall to save with his feet. The ricocheted ball found Livermore on the edge of the box and he was able to tee up oncoming midfielder Huddlestone. His low drive was deflected by full-back Andrew Taylor, bending it round the despairing Marshall. Cardiff have now failed to score in 15 Premier League games this season - more than any other team. As the chances came and went, that unwanted burden continued to grow. In the first half alone, Campbell headed straight at McGregor from a corner and nodded a Fabio cross over the bar. Jones had a shot blocked and headed wide as the onslaught continued. But the Bluebirds continued to put themselves in trouble by giving the ball away cheaply and, when they did, the Tigers were ready to pounce. The visitors were more than happy to take what Cardiff threw at them and retaliate with interest on the counter. It was the dangerous Jelavic who extended his side's lead in the 38th minute, following a comfortable one-two with his strike partner. Picking the ball up on the break, the Croatian played it down the left channel to Long, who had plenty of time to return the favour as the home midfield failed to track Jelavic's run. He took his chance with ease, side-footing it home. 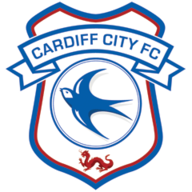 The Bluebirds felt aggrieved at the hands of referee Howard Webb, who in the first half turned down penalty claims from winger Craig Noone and later Jones, when Jelavic appeared to climb over him in the box. Webb felt both were fair challenges. In his programme notes, Ole Gunnar Solskjaer urged his players to show calmness, maturity and patience. All three were tested in the second period as the minutes ticked by but the zero next to their name on the stadium's scoreboard continued to loom large. Jelavic had no problem changing the digits for Hull, however. On 57 minutes, he finished off a curling cross from the unchallenged Rosenior, glancing an unmarked header into the far corner. Then, when Bluebirds full-back Taylor surrendered the ball in the Hull half, Ahmed Elmohamady charged forward and found Livermore on the edge of the area to make it 4-0. With the Tigers out of sight, Cardiff continued to press for a consolation, Noone and Campbell both having chances. But not since Cambridge won 4-0 at Ninian Park back in April 2000 have the Bluebirds suffered such a heavy home defeat.